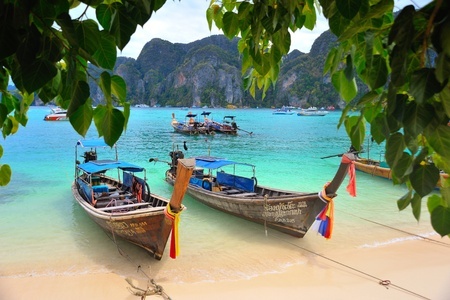 The Long Tailed Boats Wall Mural is an exotic tropical scene of southern Thailand. Two colorful commuter boats await their passengers, bobbing at the edge of the beautiful turquoise sea. Choose a preset size, or customize to your wall.